Munchkins are short and fat creatures from The Wonderful Wizard of Oz. 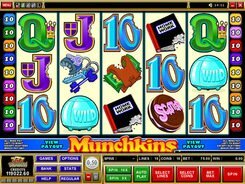 No one, except for Frank Baum, knows how munchkins look like, so you will not find them in the slot. But munchkins definitely like to eat the things that we, humans, may not want to eat. 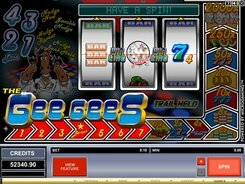 On the reels, you will find bitten off keys, bitten off wallets, bitten off exercise books, and even bitten off playing card symbols. 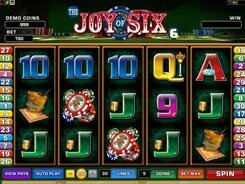 Featuring five reels and 15 paylines, the slot accepts up to $75 per spin and boasts the top jackpot worth $75,000. 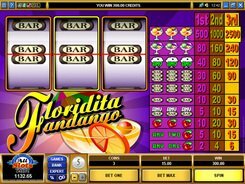 A blue round device is a wild that substitutes for other icons and pays out the abovementioned jackpot if five appear on a payline. 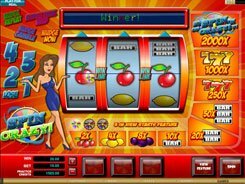 The Cookie symbol is a scatter that pays out on its own (up to $4500) and activates 20 retriggerable free spins if three or more scatters land in any position in view. 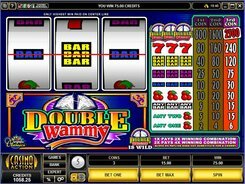 During the free spins all payouts are doubled. 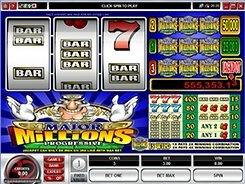 Overall, this is a very funny game, with a set of basic features and a huge fixed jackpot.